This is a perfect gift for someone very special in your life. 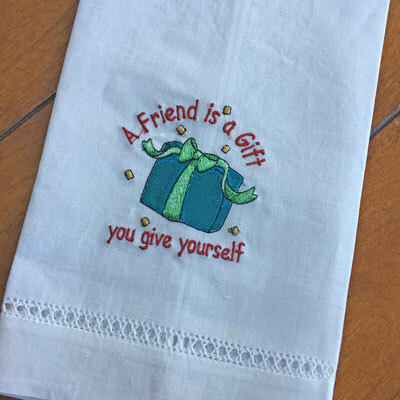 It is adorned with a gift and 'A Friend is a Gift You Give to Yourself'. Each towel measures 14" x 22" and is made of 100% fine Irish Linen. 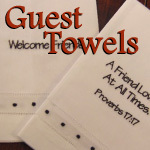 These towels are embroidered by True Vine Embroidery and are offered exclusively through ChristianGiftsPlace.com.